The 2017 Games of the Small States of Europe got under way with an opening ceremony at the Serravalle Olympic Stadium, in San Marino, last night. 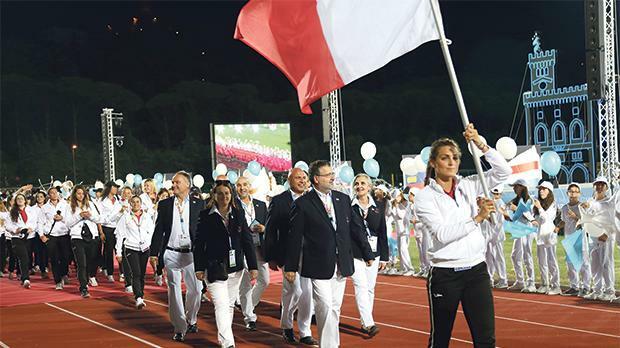 Athletes and delegates from nine countries took part in the march past with flagbearer Charlotte Wingfield leading the way for Team Malta. This is the third time that San Marino are playing hosts to the Games after the editions of 1985 and 2001.